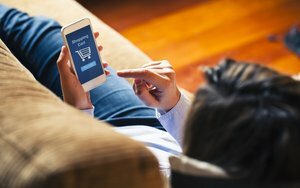 The gulf between what consumers want from stores and what they actually get in online shopping is wider than ever, according to a new report from Deloitte. Some of that is good news for retailers, with digital now influencing some $2.1 trillion in in-store spending. (That’s roughly 56 cents on every dollar.) But some of it is making retail marketing even tougher: Just 30% of people in the survey say they respond to retail advertising, down from 70% two years ago. That’s because shopping online has given people more control — and they like it. The report, based on responses from some 5,100 shoppers, also concludes that retailers’ Millennial obsession is somewhat misplaced, with 78% of all shoppers using a digital device more than once.